You may have noticed there’s been a lot going on at St Mary’s Academy lately. 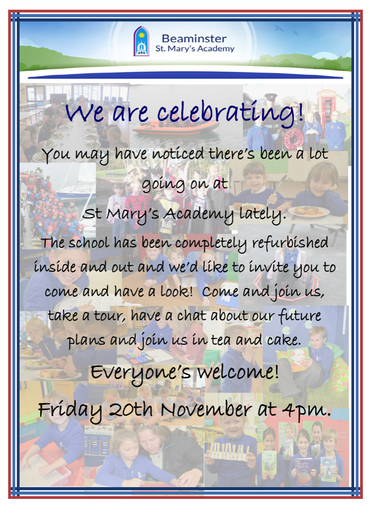 The school has been completely refurbished inside and out and we’d like to invite you to come and have a look! Come and join us, take a tour, have a chat about our future plans and join us in tea and cake. Friday 20th November at 4pm.